Rodney Nicholas has impressionable and fond memories of experiencing Billy Thorpe live. His emphasis and preference has always been live music, and if not live, then on vinyl. And he has always been more into the music than the actual hi-fi used to play music on, although he appreciates that too! Rodney Nicholas: I have two actually. The first one was when I was about 15 and I snuck into the pub to hear Billy Thorpe and the Aztecs play. I remember someone saying that if there was a fight to get on top of the table to be safe! And I also remember the end of that gig - Thorpie just destroyed the place … drum kit, guitars all over the place… not vandalized but this massive finale to the music. And to a youngster, that was rock and roll..! And the other memory was the very first time I heard Dark Side of the Moon – it was at a party at someone’s place, and it just stopped me in my tracks. I just had to listen to it, again and again. I already had a couple of Pink Floyd albums at that time, but it was just amazing. It was an experience I still vividly remember. RN: Not really. For me, it was always that I had a love of music. And as soon as I had a job during holidays and before starting uni, I saved up some money and that was my first hi-fi system. I had a little JVC amplifier, an Apan turntable (which was a Japanese company), and some Bose 301’s. RN: I don’t think it’s arrived, as yet. I think it’s getting closer to what I want, I’m pretty close but I’m sure there’s improvements in it. TW: What attracted you to the Eclipse speakers? RN: I was living in the UK, I had already bought the Quads (ESL 57) and was listening to them and loving them. I thought that before I moved back to Australia that I would buy a pair of classic English speakers, so I auditioned the Quad 2905’s which were at the top of the list but after 3 auditions I just did not fall in love with them. So I auditioned a number of other classic English speakers, but none of them really hit my button so to speak. Eventually I went to visit a guy (Ivan Kursar at Cool Gales) who sold hi-fi out of his house – I went mostly because he sold the Thomas Schick turntable arm as well. I knew he had the Eclipses, so I listened to them as well, and they were exactly what I was looking for. TW: So is it the pin point imaging that you like..? RN: The imaging is pretty important for me. A lot of people talk about recreating live music at home. For someone that listens to live music two or three times a week, mostly amplified but not always, I really don’t see that as possible. They are two different experiences and I enjoy them both. What the imaging does is create the illusion of performers being in my lounge room. RN: I suppose I could never sell the ESL 57’s or the Garrard 301. For me, they are just classic pieces of hi-fi history. And mine are in beautiful condition and perform well, so I could never sell those. I would only sell the Eclipse speakers if they were to bring out a new model that was clearly better than the ones I’ve got now. I’ve listened to other speakers, but I don’t think anything I’ve heard would be better in my room with my setup. 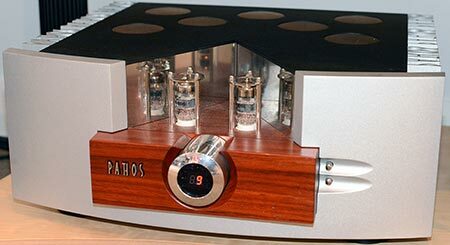 I might someday consider monoblocks, but my Pathos integrated is well suited to the Eclipse speakers. The Spiral Groove turntable is a bit like the Eclipses – I could never sell that unless I was to really stretch myself and buy the Spiral Groove 1.1 (I’ve got the Spiral Groove 2). RN: I have nothing specific in mind, perhaps power cables. I haven’t spent any money on power cables really, plus better interconnects probably. I’d also consider power line conditioning. I’ve got an Okki Nokki LP cleaner, but I don’t use it much because it takes a bit to setup. So I’m looking at an Ultrasonic LP cleaner which is much more convenient. It’s not cheap though – the price of convenience is high. RN: I’ve heard lots of high-end stuff, mostly at hi-fi shows or stores. I’ve not heard anything where I’ve said “I have to own that”. There’s nothing that’s totally blown me away to the point where cost becomes irrelevant. The Audio Note gear at the last Sydney Audio Club meeting beautifully reproduced some tonal pieces. 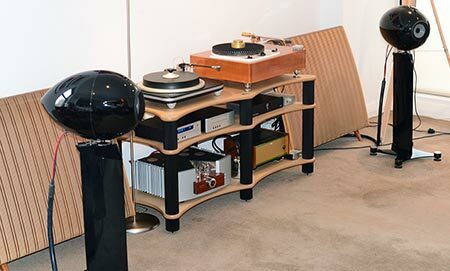 Listening to hi-fi gear in stores and at shows is a bit like tasting wine - you’re listening for potential, not ultimately making a buying choice. You can’t possibly in those scenarios. But to answer your question, I thought the TAD system at the Sydney Audio and AV Show was nice (the TAD CR1). I liked the sound of the Voxativ as well – tonally there was something right about them. RN: No, not really. I don’t regret buying any of the components I’ve bought as well. All my choices have been good, and I don’t tend to turn over gear very often. I revamped a couple of years ago, but the time before that was 7 years ago. TW: Is there anything that you regret NOT buying? RN: [long pause] No, I don’t think so. I don’t think there’s been anything that got away that I should have bought but didn’t..! RN: Pretty much so. I’ve got a few records and styles that I tend to use to listen to components. But I certainly don’t have what I’d call just hi-fi records for system evaluation purposes. There are things on particular tracks that I will listen to, but they’re also the same records that I listen to often. Some of my standard listening tracks are: Lou Reed - Walk on the Wild Side, James Blake - Limit to Your Love, Jon Hopkins - Open Eye Signal and the Ray Brown Trio - Cry Me a River. TW: What is your preferred source media, vinyl or digital, and why? RN: It’s definitely vinyl. I just get more musically engaged, or emotionally connected with the music with vinyl over CD and downloads. But that doesn’t mean I don’t enjoy listening to downloads – some of the electronica I like is only available as a download. I still buy CDs but my preference is to buy on vinyl. But to me, it’s still ultimately about listening to good music not about gear. TW: Do you like hi-res PCM/DSD, or have you found it hard to find good remastered music in hi-res? RN: Most of the stuff I would buy is very new, and has just been mastered as FLAC files. That tends to be electronic music. I don’t have the ability to play DSD and almost all of my downloads are Redbook quality. I don’t spend time searching the web for hi-res files. However, my Resolution Audio CD player is also used as a DAC and will play up to 24/96. The recent Nick Drake vinyl reissues came as a 24/96 download and they sound considerably better than the CD versions I have of his albums. I’d say downloads are a max of 5% of my listening at the moment but I am sure that will grow in the future as I stop buying CDs and purchase downloaded files instead. TW: Do you listen to Spotify or SoundCloud for just background music, or for more involved listening too? RN: I listen to both SoundCloud and Spotify. I tend to use them for filtering through music that I might buy. Spotify in particular. Using these services has not reduced my purchasing of music though. I use SoundCloud to track down artists that I might really like, artists that are not really main stream, alternative versions of songs and music that is only released there. RN: My music taste is, I would say, very eclectic. Probably the only thing I don’t listen to is opera. Favorite artists..? That’s very hard to answer. I probably buy 2 or 3 records a week. I buy a reasonable amount of electronica, and that’s probably the style I’ve gotten into more in the last 4-5 years. I’m also really getting into simple style chamber music, with a modern influence though, so not traditional. But I love violins, I love cellos, I love piano. There are some artists like Ludovico Einaudi that use those instruments along with electronic instruments. I listen to quite a bit of jazz, and I probably go to live jazz venues once a week. I’ve got a bit of a Charles Lloyd thing happening right now. Middle of the road stuff doesn’t really do it for me, but I don’t like to pigeon-hole styles of music. I’m just into good music and I love discovering new artists. RN: I honestly don’t think I could choose just three works. I’d think I’d compromise on the quality if you’d let me take Spotify! [Tom says it’s unlikely there would be an internet connection on a desert island. Both laugh.] That’d give me enough music to keep me happy, because for me it’s about variety. But if I was to pick one artist then it would be Nick Drake. I’ve been listening to Nick Drake since the mid-seventies, and his music is just part of me, part of the fabric of my being. It’s just part of the music I listen to every week. To me, that accurate timbre is where the emotion in the music comes out. Imaging is important because that helps to place that person in the room, but it’s totally different from a live experience. And my system has enough inner detail to allow me to become absorbed into the music. I’ve had very expensive stand-mount speakers in my room – and whilst they had more detail than my Eclipse speakers they were uninvolving, they had no heart. I am not saying detail isn’t important, I think it is critical. RN: I listen to live music two or three times a week – music is critical to my needs and life style. I would probably listen to music for 4 hours every day. My TV panel over there is hooked up for photography and as a computer screen – it isn’t actually used as a TV. I listen to probably two albums every day before I go to work. Or maybe FBI radio to hear some new music. At night I might be sitting here until 1 or 2 in the morning, even mid-week, just listening to music. Even if I go to a gig, I’ll come home and listen to more music. It relaxes me. I even have standard post gig music to listen to, to bring me down before sleeping. One of the things I love about my current system is listening to music that I listened to when I was a teenager. Music that is so impregnated into my brain from playing it endlessly. When I listen to it now I get so much pleasure from the extra detail and nuance that I had no idea was there. RN: I see a lot of my future purchases being from audio enthusiasts selling from their homes – not purchases from bricks-and-mortar shops. My speakers came from Ivan Kursar (Cool Gales) selling from a converted school house in Bath (England), my racks and some of my cabling have come from Cameron Pope (Krispy Audio) who sells from home, my Spiral Groove turntable was from an enthusiast that sells very high-end hi-fi (Mark Doehmann from Telos in Melbourne), but again no bricks-and-mortar shop. Both Mark and Cameron came to my house to install the gear and then we sat around listening to music for a while, recommending different artists to each other. That is important to me, that they have a connection with music also. And having my turntable setup by Mark, who is so highly regarded in the turntable world, gives me every confidence that I am getting the very best out of my new purchase. So in the future I suppose I see many audio enthusiasts purchasing more from fellow audio enthusiasts selling from their homes in order to keep costs down. Which is unfortunate really, because it takes away the opportunity to listen and compare. And most of the enthusiasts that sell from their homes will not have the massive range (or space) of a high-end store. So it is harder to compare. Of course this is where clubs like the Sydney Audio Club can be very helpful because they bring in equipment that might be quite hard to hear otherwise (where would you go in Sydney to hear VAF speakers for example?). Certainly my experience in dealing with enthusiasts selling from their homes has been very positive, and I’ve found that all these enthusiasts have been music fanatics as well. RN: I suppose I’d like to see a move away from terrible MP3’s. I clearly have a preference for vinyl, and it is growing, but off a very very small base. I’d like to see people calling themselves audiophiles actually listen to more live music, instead of listening to equipment at home. With the download things we discussed earlier, I think people will need to have more confidence in the quality of the downloads they are paying for to sustain that market. It’s good that some of the magazines are starting to analyse this, but it’s bad that they’ve had to do it at all. As for high-end equipment, I think we’ll have a market for such gear even in 20 years’ time. These high-end companies have huge R&D costs and manufacture in small quantities, so of course the cost of their products is high. But you get a bespoke product that is a pleasure to listen to and look at – there’s real pride of ownership. Now, let’s listen to some music!